Clean, modern, all amenities present, good communication with host. We had a problem with the wifi, Host really moved mountains to help fix it. Location, room view, cleanliness, wide spaces, consistency of the owners, approachable owners, sea view, no need to use the air conditioning at any time due to open air balcony doors and wide windows, very good sea nearby, quietness overall. Spacious, clean, nice location, you can listen the sound of the sea at night! Clean, spacious and comfortable. Very good value for money. Modern fully equipped, clean and comfortable apartment. Lovely view from balcony. Delightful owner. Sea access 50 metres from the apartment. Vai beach 30 minutes drive. Bel appartement proche de Sitia (10-15 mn à pied). On peu se baigner à 30 mètres de l'appartement . 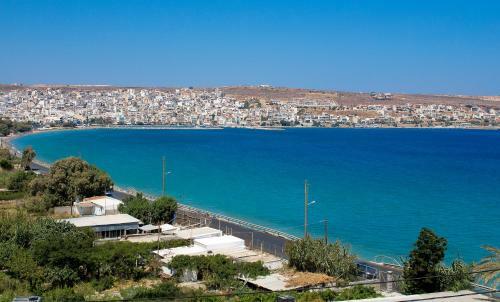 Belle terrasse avec vue sur la baie de Sitia (malgré quelques fils électriques comme souvent en Grèce). Calme. Bon rapport qualité prix. 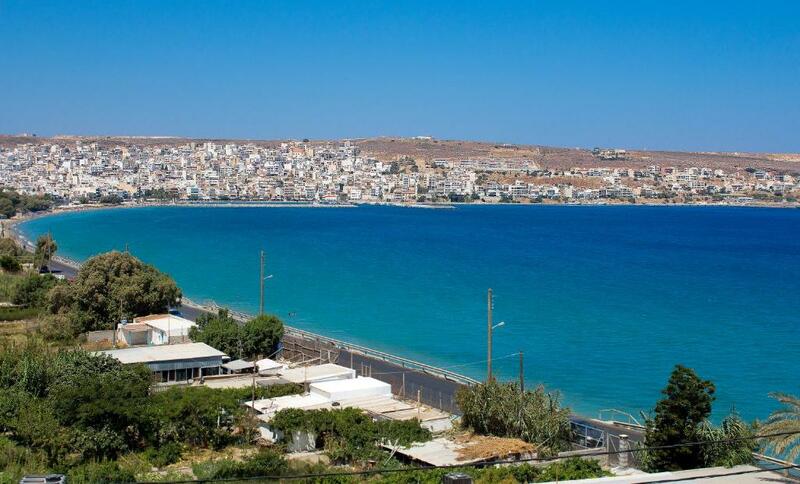 de ruimte in het appartement, 3.4 gedeelte uitzicht op Sitia. loopafstand van Sitia. Перед заездом сообщили во сколько и на каком автобусе приедем на автовокзал в Ситию (в 22:00). Хозяева сами предложили нас встретить, встретили на машине, свозили до ближайшего магазина для покупки продуктов на завтрак и затем уже довезли до апартаментов. Большое им за это спасибо! Квартира чистая, красивая, удобная. Жили в апартаментах, где была кухня-студия и две спальни (одна с большой кроватью и одна с двумя одноместными). На кухне есть все что нужно. Вид с балкона - отличный, видно весь город и море. Наличие стиральной машины очень удобно. До центра Ситии (автовокзал, супермаркет) 15-20 минут пешком по дороге, до пляжа 5-7 минут. При комплексе апартаментов есть стоянка. Нам очень понравилось. Очень хороший вариант для размещения в Ситии, особенно если есть арендованная машина. Но удобно и без машины, как были мы. Ни сколько не жалеем. Хозяевам огромное спасибо! Все без исключения. Отличные апартаменты за приемлемую цену! Останавливаемся не в первый раз. Lock in a great price for Bay View Apts II – rated 9.2 by recent guests! 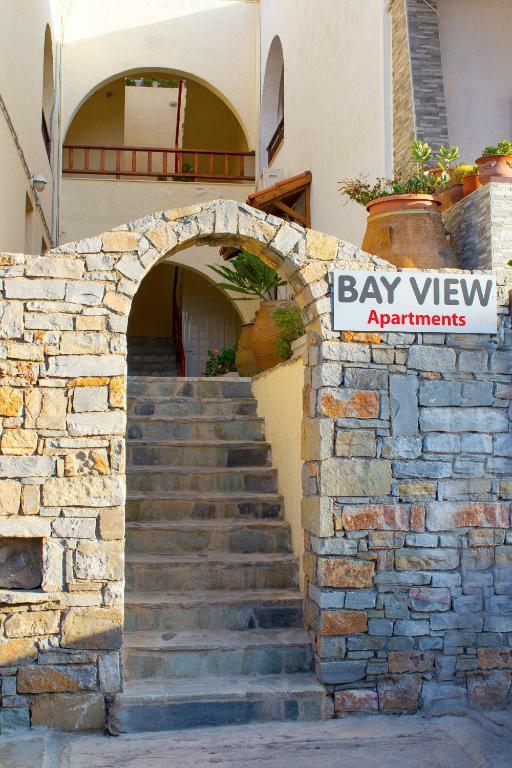 Located just 150 feet from the beach, Bay View Apts II offers air-conditioned apartments with free Wi-Fi and balcony overlooking the Cretan Sea. Central Siteia is 2,650 feet away. A kitchen with cooking facilities and fridge is included in all apartments at the Bay View. Each has a flat-screen TV, a washing machine and iron. Bars and taverns are within a 10-minute walk. Siteia Airport is 1.9 mi away. Free private parking is offered at the property. When would you like to stay at Bay View Apts II? 164 feet from the beach, this air-conditioned apartment offers free Wi-Fi and balcony overlooking the Cretan Sea. A kitchen with cooking facilities and fridge is included. 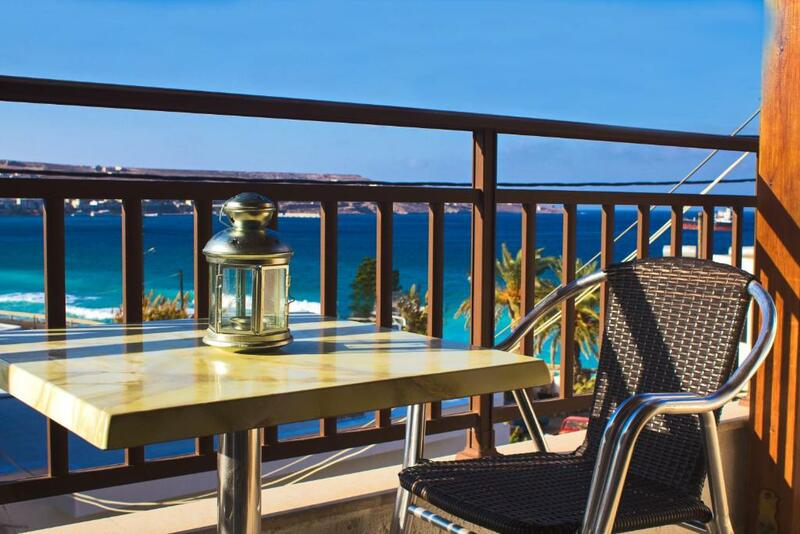 Overlooking the Cretan Sea from its balcony, this air-conditioned apartment is 164 feet from the beach. It includes free Wi-Fi, a flat-screen TV and a well-equipped kitchen. House Rules Bay View Apts II takes special requests – add in the next step! One child from 12 to 18 years is charged EUR 8 per person per night in an extra bed. Bay View Apts II accepts these cards and reserves the right to temporarily hold an amount prior to arrival. Guests are kindly requested to let the property know their exact arrival time. Parking spaces could have been numbered with each room number just to make sure no one else parked in there. We didn’t have a problem though, although others from nearby apartments of other owners had with theirs. Google maps shows wrong place. It is more close to the sea. Unfortunately, wifi did not work for some time, but was resolved finally.